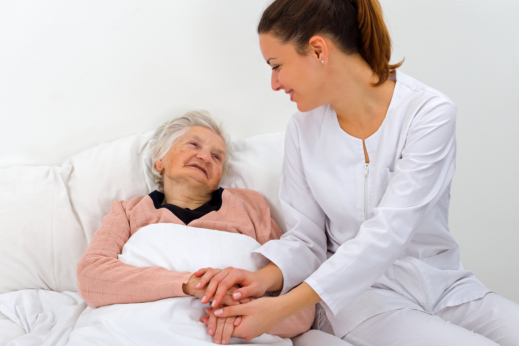 How can Your Loved One Benefit from Hospice Care? Is your loved one going through the following? Any of these aforementioned signs are good enough reasons to contact a hospice right away. There are some hospice facilities that only offer inpatient hospice, while others are willing to bring the care into your homes. To gain access to hospice care, one has to be diagnosed by a doctor as having a terminal illness with only six months or less to live if the illness were to follow its natural course. If a patient is able to live on beyond the six-month time frame, they can still receive hospice care for as long as the doctor recertifies their eligibility. One of the best things about hospice care is that it offers your family additional support during this time of intense need. This kind of care brings your loved one a team of professionals overseeing and providing for their physical, spiritual, and emotional needs. There are nurses and aides who support personal and clinical care. You have social workers who help the entire family gain access to end-of-life care resources. Chaplains can also be relied upon for spiritual support. And then let’s not forget the volunteers who are there for patients and their families every step of the way. Hospice care addresses the pain your loved ones are feeling. Earth-shattering pain is something terminally-ill individuals are familiar with. When one is in the latter stages of their life, you can expect them to experience nothing else but the pain their disease brings. That’s something that quality hospice care addresses through their palliative care measures, which centers on bringing comfort and managing the symptoms of a disease or condition. This way, patients are able to focus on living their lives meaningfully, forgetting the pain and finding acceptance in their situations. Partnering with a hospice care facility helps put things in perspective for the entire family. It allows you to find acceptance and move on from a difficult time in your life. If you have concerns and questions to ask about hospice care, don’t hesitate to get in touch with Life’s Journey of Avon. We are a reputable provider of Hospice care in Avon Indiana that has a team of dedicated professionals committed to meeting your loved one’s needs. End-of-life care discussions are not easy, but they are necessary. Talking with hospice care providers will go a long way to helping your family deal with one of the most difficult paths in life’s journey. You’re more than welcome to share your thoughts and ideas on hospice and end-of-life care on the comment section below. Anything you have to say will be greatly appreciated. This entry was posted in Hospice Care and tagged clinical care, Comforting, Hospice Services. Bookmark the permalink.